Home contest Lucky Me Part 2! After my first post about winning in a raffle or contest, I thought di na ko mananalo or mapipili ulit sa mga contest/giveaways na sinalihan ko but I’m wrong. Can you imagine I won again! So I’m telling you guys, 110% sure na SWERTE talaga ang buntis. Thank you Lord for all the blessings that I received this year. Thank you and I Love You so much! 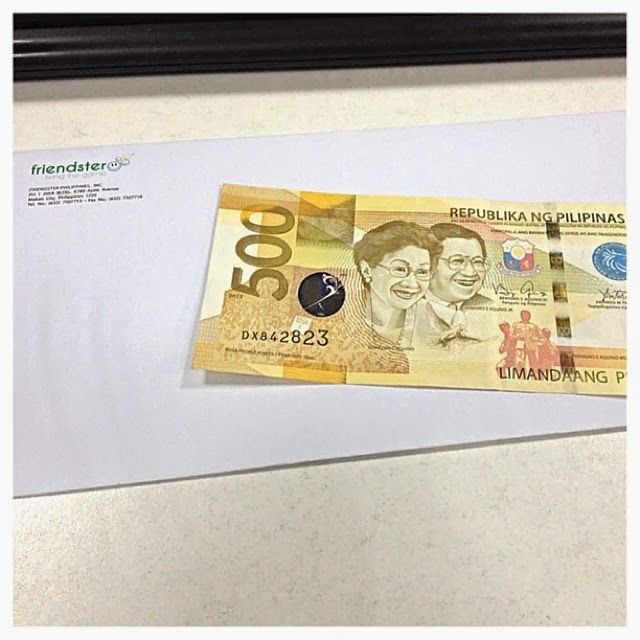 I won Php 500.00 cash in a raffle. Wohooo!!! 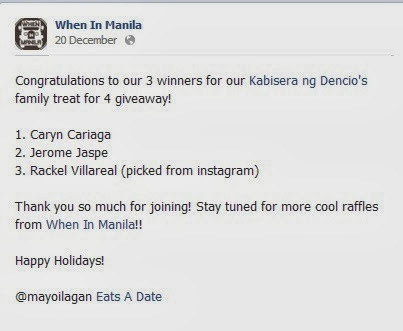 Another giveaway from When In Manila, I won a Family Feast for 4 with a set of Holiday Shooters at Kabisera ng Dencio's!! Yahoo.. Early birthday gift should I say. Thank you again! Girly products from Ms. Ysabel Vitangol. Wow! Thank you for choosing me as one of the winners for your first ever holiday giveaway. 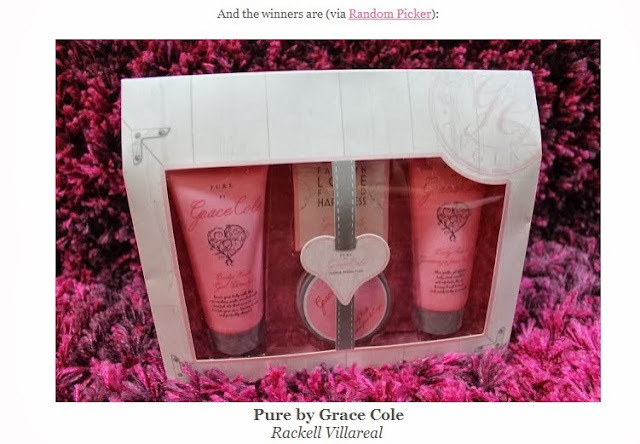 Now, I’m still hoping to win in another raffle/contest/giveaway that my fellow bloggers offers. 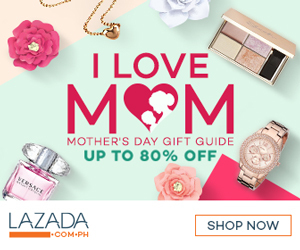 #kiligmuch So a piece of advice to all mom-to-be / pregnant woman, join in any contest and for sure mananalo rin kayo tulad ko. Again, thank you Lord and Thank you Baby Rhian for coming into our life, you are truly a blessing to us. I love you baby.